Your retirement savings account and a non-recourse loan—how do these two things go together? A non-recourse loan can work in tandem with your self-directed IRA to provide you with the means of purchasing real estate. At First Western Federal Savings Bank, we are your non-recourse loan lenders of choice, and can help you apply and receive a loan to go towards acquiring real estate. When you work with First Western Federal Savings Bank, you are working with one of the nation’s top non-recourse loan lenders with nearly 40 years of experience. We are the team you can trust to use your self-directed IRA or solo 401(k) to engage in purchasing real estate. The overall process for getting a loan is the same, but there are some differences in the details of a non-recourse loan. One of the biggest benefits of a non-recourse mortgage loan is that the borrower is not held personally responsible for the loan, since the non-recourse lender can only seize the collateral associated with the loan and nothing else. 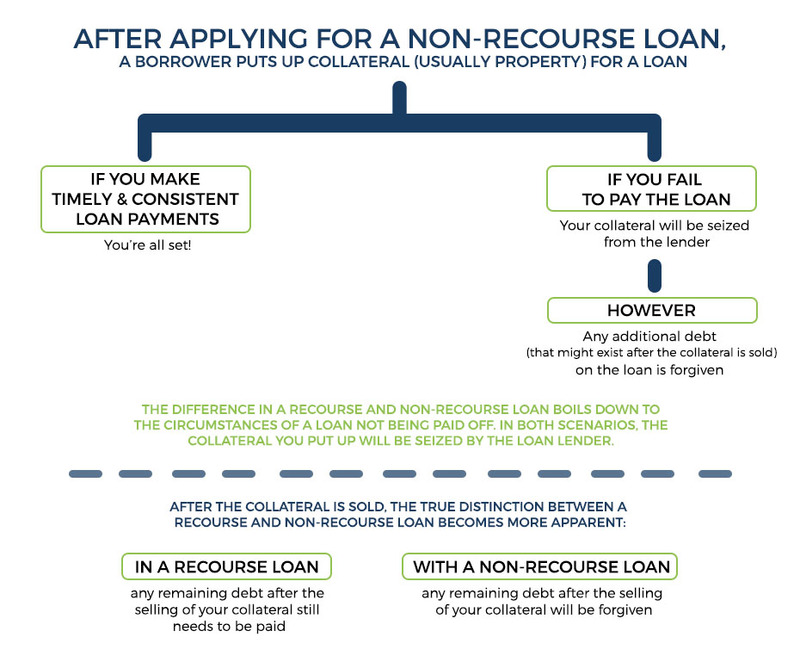 A non-recourse IRA Loan is secured entirely by the collateral. What this means is that in the event of default, there is absolutely no recourse or ability to collect the mortgage loan from the IRA owner personally or the IRA itself. The IRS has also established regulations regarding Prohibited Transactions between your IRA and certain people that are classified as a "Disqualified Person." Most all other assets are available as IRA Investments as long as your IRA Custodian is in agreement. Did you know that the ability to buy real estate with your self-directed IRA is allowed, and has been for quite some time? Since 1979, First Western Federal Savings Bank has been a non-recourse loan lender of choice, with a specialty in helping people purchase real estate with their self-directed IRAs. Yet for all of us at First Western Federal Savings Bank, non-recourse loans are more than just our specialty—they’re our passion. Contact us today and see how your premier non-recourse loan lender, First Western Federal Savings Bank, can help you buy real estate with an IRA. Your non-recourse loan is waiting—apply today! What types of property can I buy with a non-recourse mortgage loan? This type of property includes single family residences, including condos and townhomes. This type of property typically houses businesses, offices, or retail stores. This type of property refers to things like multi-family homes or apartment buildings. This type of property can be purchased and can generate income with a lease contract. It typically supports crops or livestock. Preparing for retirement can seem like a daunting and stressful task, and the longer you wait the worse it is going to get. If you already have an IRA, especially a self-directed one, you have the freedom to make whatever investments with it you choose. Buying real estate can create a lucrative nest egg to help quash any ideas you might have about work longer than you wanted to. Contact the non-recourse loan lender experts at First Western Federal Savings Bank today, and let us help you reach your real estate goals with a non-recourse loan.